Winds are South at 11.5 MPH (10 KT). The humidity is 89%. Last Updated on Apr 19 2019, 8:47 am EDT. Proven Leaders in the aircraft industry . . . 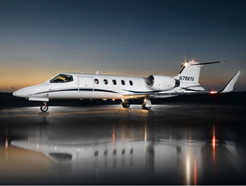 Precision Jet Service, Inc. is a FAA approved repair station (FAA CRS# P0ZR555Y) for all model Learjets, King Airs, and Citation 500 series aircraft. Our factory-trained mechanics have years of experience performing repairs, maintenance, and major inspections on these particular aircraft. Precision Jet Avionics, Inc. is a FAA approved repair station (FAA CRS# PJ7R346X) for class 1, 2, and 3 (communication, navigation, and radar classifications) and is a proven leader in the avionics industry by providing our customers with small or large scale installations as well as troubleshooting and repair of even the most difficult problems. We have on-staff DERs that are experienced in all areas of installation, modification, and new certification. 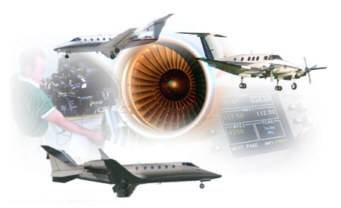 We are authorized dealers for Rockwell Collins, Honeywell, Garmin, Universal Avionics, L3 Communications, and many other leading avionics manufactures. Precision Jet Service, Inc. is an ANAC approved maintenance organization (ANAC CHE# 1506-33/ANAC) for all model Learjets, King Airs, and Citation 500 series aircraft, as well as class 1, 2, and 3 (communication, navigation, and radar classifications). Combined, these two FAA approved repair stations can provide quality airframe, engine, and avionics services to business and corporate aircraft. Coupled with our sales, management, and insurance services, Precision Jet offers comprehensive coverage for all of your aircraft and aviation needs. Located at Witham field in Stuart, FL (KSUA) in an 18,000 sq. ft. hangar, we also offer 24/7 support to our customers and can fly our corporate aircraft to provide traveling assistance as well. Our mission is to use our years of experience to exceed your expectations!